Most toners we've tried usually just either hydrate or mattify skin. But what if we told you we found a toner that can do a multitude of things and work for different skin types? 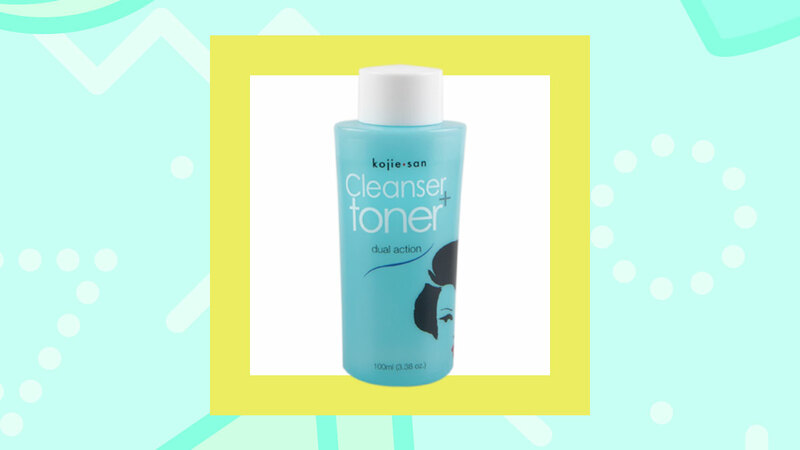 Say hello to the Kojie San Cleanser + Toner! If you have yet to try it, scroll below for a list of reasons why you need to get one right now! It balances your skin's pH levels. You can be sure this toner won't leave your complexion feeling greasy or as dry as the desert. Its ingredients work perfectly together to leave any complexion soft, smooth, and in a balanced state for the rest of the day. It minimizes the look of your pores. Clean and clear pores will result in a tighter and smaller appearance! Use this after your regular cleanser to remove any dirt and bacteria that may be hiding deep within them. We loooove the fact that this toner contains rosehip oil! ICYDK, rosehip oil is famous for healing acne, having a lightweight consistency, and strengthening your skin's moisture barrier which is needed to keep skin nourished and protected from free radicals. One of its ingredients, ginseng extract, is known for reducing inflammation. 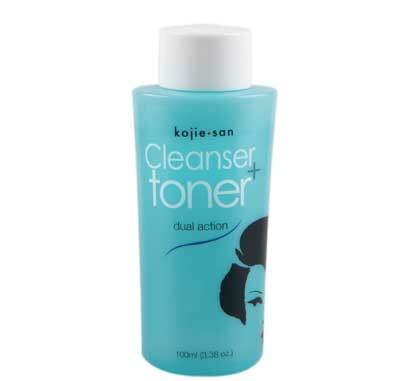 One swipe of the Kojie San Cleanser + Toner over existing breakouts will calm them down and promote healing. It has lactic acid which is commonly used as a chemical exfoliator. It gently exfoliates skin and clears out pores to make way for a clearer, even-toned comlexion! It can help you skip a few steps (sometimes). Since it's a cleanser and toner in one, it can thoroughly clean your skin without drying it out. However, we only recommend skipping an actual foam cleanser when you're too tired to remove your makeup before going to bed or when you're trying to cut your skincare routine down. The Kojie San Cleanser + Toner Dual Action is available in all leading drugstores and supermarkets nationwide. What's your favorite toner? Share it with us below! Don't forget to join our Cosmo Beauty Group for an exclusive CG chat!